What better way to reuse that red ribbon than as a beautiful tie for your hair? Oh how beautiful and simple this red ribbon hair accessory is! This is a very classic and chic looking New Years Eve hair style choice. 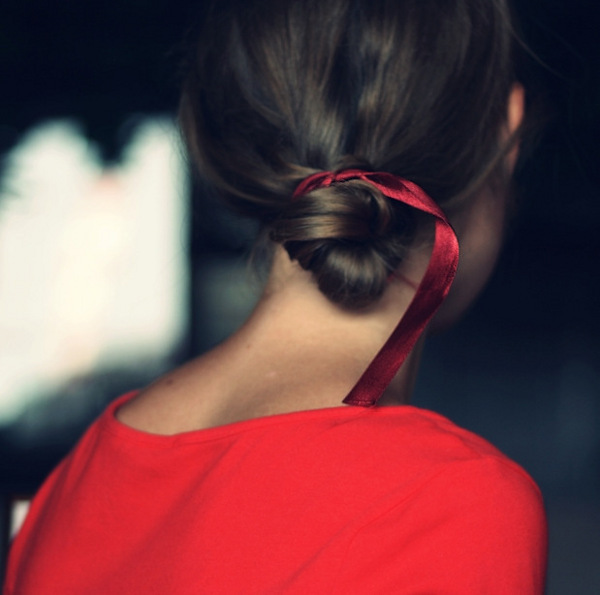 I can imagine wearing the red ribbon in the chignon, around a low pony tail, and even woven into a braid. Thanks for sharing this beautiful hair style idea!